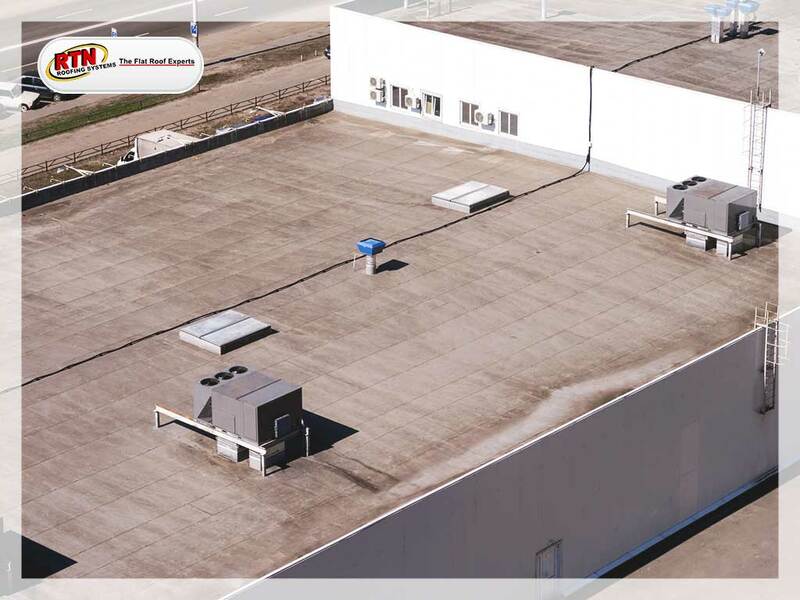 Commercial roofs are exposed to all kinds of particles in the air, causing them to become dirty and unattractive in the long run. Fungi can grow on them and dirt of all kinds can settle on them. You will need to clean them to maintain their effectiveness, beauty and overall appeal. Taking care of your commercial roof doesn’t have to be difficult nor should it require roof commercial replacement right away. Here are some things to avoid when cleaning your commercial roofing, courtesy of the flat roof experts at RTN Roofing Systems. High-pressure power washers can cause damage to your roofing membranes and seams, causing you more problems in the long run. Use low-pressure power washers instead. Before using a cleaner on your roof, any roof commercial replacement contractor would suggest testing it. Some cleaning solutions aren’t effective for some roofing materials. Or worse, they can cause damage. Test it before using it. Remember to wear protective clothing and safety gear before cleaning your roof. Protective equipment such as protective eyewear, gloves and shoes will help you against slips and spills. In addition, rinse off cleaning solutions before walking on them as this may pose a safety hazard. Expect the water used to clean your roof to go somewhere. Runoff, not properly directed, can contaminate plants and groundwater and causes problems in the long run. Make sure to consider where the runoff will go to comply with run-off requirements. Dirty roofs can be cleaned, but if the dirt is too much, it may be time for a roof commercial replacement. When it comes to this, you’ll need help from the experts like us as RTN Roofing Systems. We offer roofing services to commercial property owners in Denver, Loveland and Colorado Springs, CO. Call us at (303) 578-1257 today to get started.